Saint Andrew's Church (Андріївська церква; Andriivska tserkva). 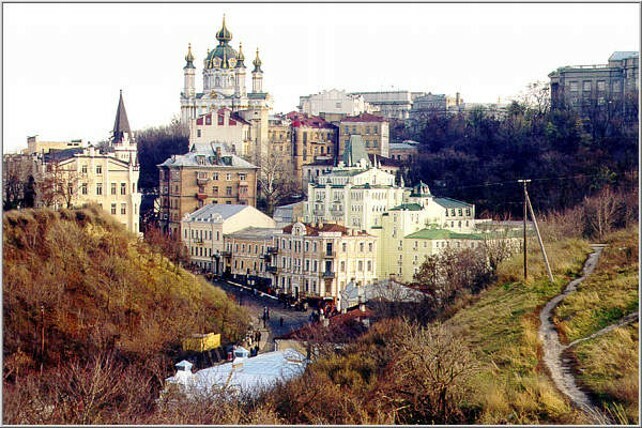 A masterpiece of rococo architecture in Kyiv. It was designed for Empress Elizabeth I by Bartolomeo Francesco Rastrelli and built under the direction of I. Michurin in 1747–53. 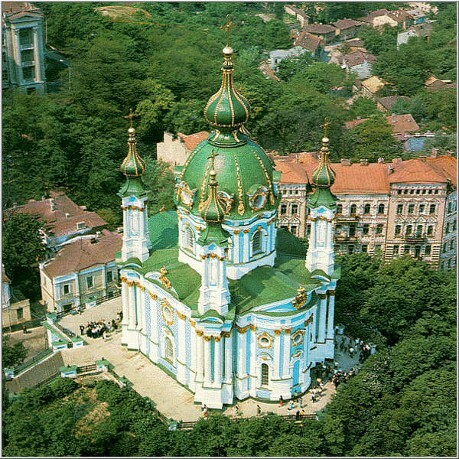 Set on a hill above the Podil district on a cruciform foundation atop a two-story building, the church has a central dome flanked by four slender towers topped with small cupolas. The exterior is decorated with Corinthian columns, pilasters, and complex cornices designed by Rastrelli and made by master craftsmen, including the Ukrainians M. Chvitka and Ya. Shevlytsky. The interior has the light and grace characteristic of the rococo style. The iconostasis is decorated with carved gilded ornaments, sculptures, and icon paintings done in 1751–4 by the Russian painter Aleksei Antropov. Hryhorii K. Levytsky, and their assistant at the time, Dmytro H. Levytsky. 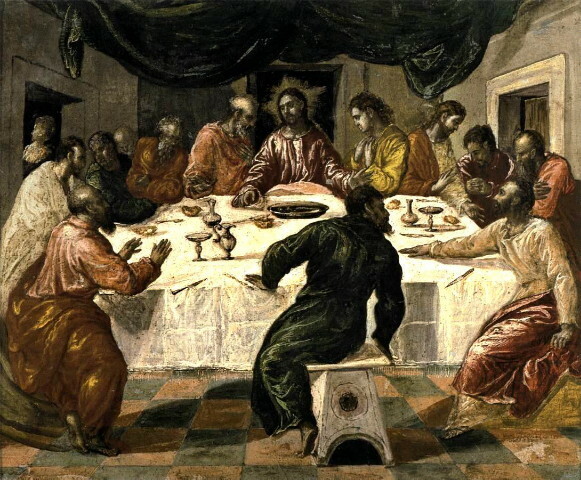 Other paintings in the church are by P. Boryspolets, I. Romensky, and I. Chaikovsky. 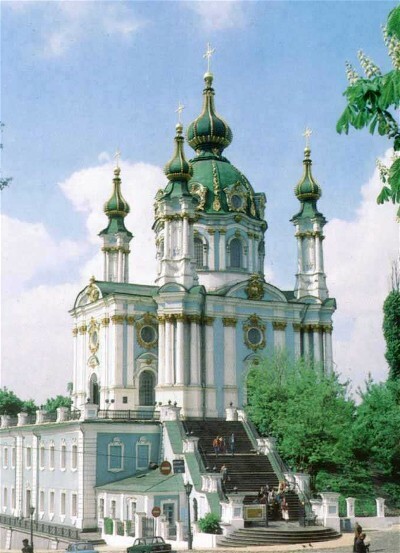 During the Seven Years' War the imperial court lost interest in the church, and it was unfinished when it was consecrated in 1767. Because of ground instability, the maintenance and preservation of the church have been a constant problem. 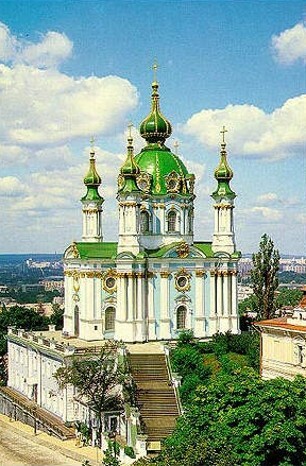 Since 1958 the church has been a branch of the Saint Sophia Museum.